Sports Car vs. Practical Car: Performance or Ground Clearance? Once upon a time, when I was a young, naïve, and octane driven nineteen year old, I owned a 2000 Audi TT. It was iconic and awesome and I loved it. My first romance with an Audi was with a 1986 Audi 4000 CS Quattro, which ended up sitting in a parking lot with three flat tires and rotted gas lines. The car needed more in parts then she was worth. Even though it ‘twas a sad day when it came time to ditch the 4000, it brought the dawn of a new love, the Audi TT. The TT was a car that cost me all the money I had, landed me my first and only major speeding ticket, and never got me laid, but looked it good, handled like a dream, and the turbo screamed from 2200 rpm all the way to 6400. At first, the TT was amazing. Actually, let me rephrase that. The TT was always amazing. However, towards the end of our relationship, the TT and I were growing apart. As a recent college graduate and an avid rock climber, the TT was impractical for my needs. I became the master of cramming my possessions into what little trunk space the car had. And, the harsh New Hampshire winters began to take a toll. Let me break it down into an equation for you: Frost heaves + performance suspension + lowering springs = dreadful/disastrous. The bottom line was, the car didn’t have enough room, she cost me about $1,500 a year in maintenance, but despite all this, I was in love with her. I had thoughts of selling her and getting something more practical but I never had the heart to do it. 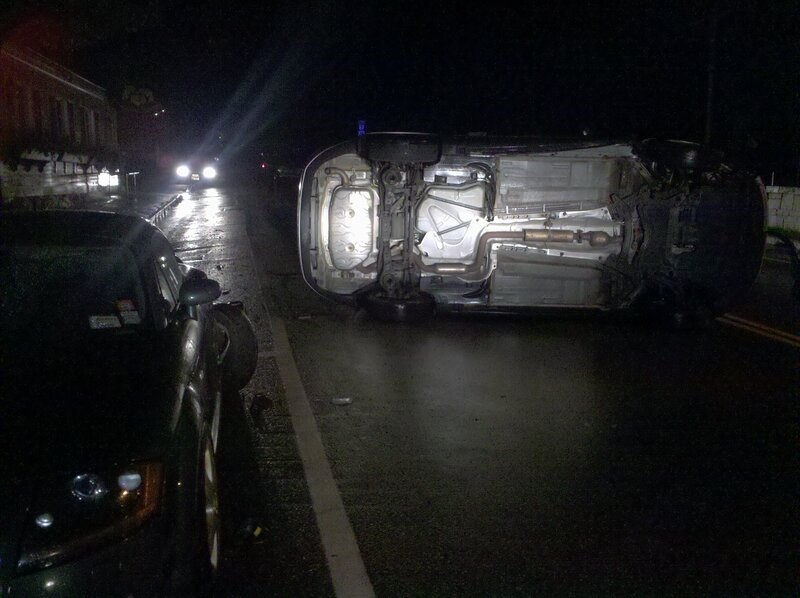 Late one fateful evening in June while enjoying a beer in my apartment, I heard the unmistakable sound of a car crash. When I looked outside, I was literally in shock. Right outside my apartment, innocently parked on the side of the street was the TT, which had just been creamed by a woman who fell asleep at the wheel. It was a tragic scene. The TT was demolished; it had been pushed 40 feet from where it was parked, and the woman’s Volvo was lying on its side in the middle of the road. 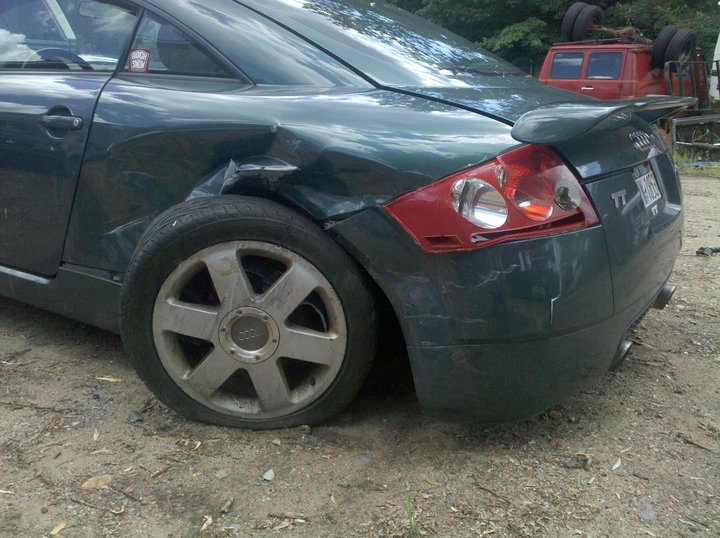 Fortunately she was ok and after all was said and done, her insurance company sent me $6,800 for my troubles. Even with that, I was still pissed. That amount of money was no where near enough to replace the TT or to make up for the sheer, asinine, murder of my car by this woman. In one moment, my decision about whether to sell the TT or not was taken away from me. 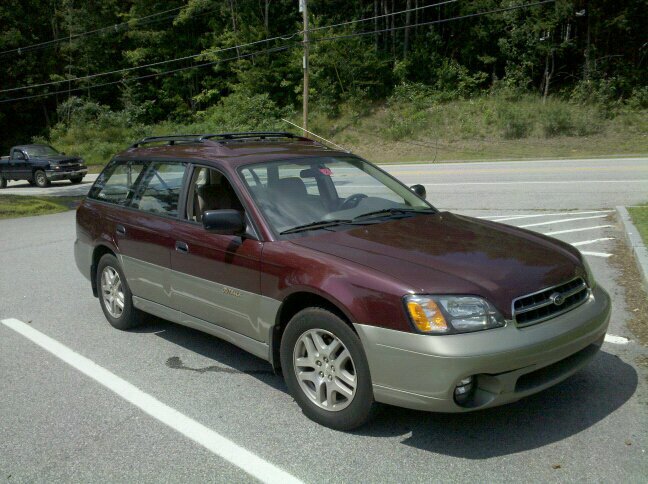 So, I bought a 2001 Subaru Outback for $4,100. I went from a sports car to a grandma mobile. It took a while to get used to, but I became ok with the change. The Outback has 7 inches of ground clearance versus the TT’s 3.5, I can fit more than a few of my personal possessions in the Subaru, and while it isn’t fast (it can barely get out of its own way,) it is practical and fits my lifestyle. I’ve owned the car for almost a year now and the funny thing is, I’ve had to put about $1,000 into it. The Subaru is right on par with the TT in terms of maintenance. Even so, I’m happy with the Outback. But not a day goes by that I don’t miss the power and style of the TT. I owned a sports car and not one of those years could I afford it. I spent every dime I had to maintain that car. Why you ask? There is a certain amount of pride and responsibility you inherit when you own a car like that. I can’t look back on those years and imagine them without the TT. It was all about the excitement I felt while powering through turns, pushing 125MPH on the highway and hearing the turbo. With the Outback… not so much. Now I get to hear the distinct sound of a 2.5 liter Subaru H-4 engine and have rear rotors that are shot and look horrible. However, I can’t afford to fix them, so they’ll stay that way until I can. If the rear rotors looked bad on the TT they had to be replaced. No one wants to look at a sharp car and see played rotors. It doesn’t work that way. Bottom line: Any car enthusiast must have their own impractical and costly “dream” car. It is only fair. We must all come to understand what our parents warned us about when they said, “Be careful, that car will be a money pit.” It was true, but the love of ownership made it worthwhile. So, buy yourself the impractical sports car. For me, I want to keep the Outback until the odometer reads over 200,000 miles. But you can bet that when I can afford one, I’ll be getting an impractical sports car again. I’m old and cynical and yet I still own an Audi TT (2001 in my case). I recently hit the $20,000 mark on maintenance, though. That includes tires, but it still boggled my mind. You could have done much worse than $1,500/yr. I live on a dirt road now, so the TT needs to go before I have to start paying for new oil pans, too. I’ve ended up at that same performance vs. ground clearance decision point. I’ll miss the TT (but not the personal relationship with the garage).